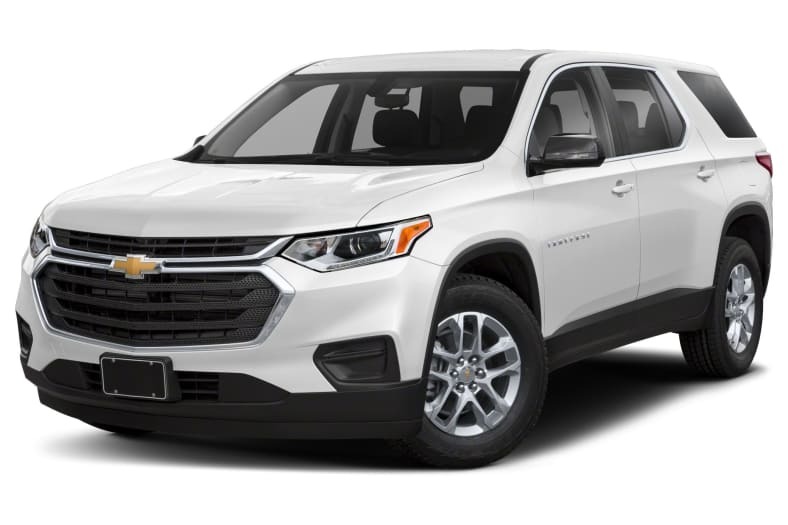 The Chevrolet Traverse mid-size SUV combines the smooth ride and responsive handling of a car with the cargo capability and high seating position of a traditional truck-based sport utility vehicle. The Traverse is available with front- or all-wheel drive, in LS, LT, RS (FWD only), Premier, or High Country (AWD only) trims. A 255-hp 2.0-liter in-line four-cylinder (RS only), or a direct injection 305-hp 3.6-liter V6 engine, send power to the wheels through a nine-speed automatic transmission. The well-equipped interior features two front bucket seats and two different seating configurations for the second and third row seats, accommodating a maximum of eight passengers. An extensive list of safety features includes: side curtain overhead airbags, seat-mounted side-impact airbags for driver and front-seat passenger, an available front center airbag, anti-lock brakes, and electronic traction and stability control. For 2019, Active Noise Cancellation, LED tailights, and electric parking brake become standard on all trims.